Across the country, smart online entrepreneurs with brilliant business models find it hard, and often impossible, to get small business loans. In fact, many do not even know they can get loans. This may be because they are not taking their businesses serious. or the banks are just not lending. Have the banks run out of money? Of course not! In fact, the volume of bank loans to large companies, multinationals, and big businesses are increasing every year. So, what are the secrets of getting your small online business loan application approved? What kind of small business loan should you apply for? An overdraft is a type of loan that allows you to withdraw money from your bank account even if you have little or no money in it. So, if your bank approves an overdraft of N1,000,000 for your business, it means you will have access to this money even if your account balance is zero. Unlike overdrafts, a term loan is a sum of money released to you by the bank and starts to accrue interest from the moment you receive it; whether you use it or not (unless the bank agrees to a delay, usually known as a ‘moratarium’). This type of loan is best for long-term projects and can last from two to ten years, depending on your needs and terms of the loan. Just know that the longer the loan lasts, the more interest you will have to pay over time. Why do banks not like to give loans to small businesses and startup entrepreneurs? This simply means there is a high likelihood that something may go wrong with a small online business and make it unable to pay back the bank loan (plus interest). If your bank believes that giving you a loan is a ‘high risk,’ your loan application will surely be denied! Unless you can do, show or prove something that reduces the risk to a low level, very few banks will want to give a loan to a high-risk business. Let’s look at some effective ways to reduce the risk in your loan application and ensure that it gets the approval that you need to secure that small business loan. Fortunately, it’s not an entirely sad situation; risks can be reduced. Entrepreneurs who can successfully apply any of the ‘open secrets’ I’m about to reveal will significantly increase the chances of getting the loans they want from their banks. One of the big risks that worry your bank about your loan application is the ability of your small business to sell enough products or services that will make money to repay a loan. A supply contract from a creditworthy customer (usually a company or organization with good business performance) proves to the bank that somebody is interested in your products and is willing to pay (and can pay). With a contract in hand and a credible large company behind you, you would have significantly reduced the high risk that would make your loan application difficult to approve. If you have taken out a loan before and paid it back with all the interest and no delays, it often signals good behaviour and creditworthiness to banks. Banks and other lending institutions can verify your credit history and gauge the ‘riskiness’ of giving you a loan. If you have been coming up short on a loan you took out previously with another bank, this may show up in your credit history and reduce your chances of getting your loan application approved. If you have a poor credit history, the banks may insist on collateral or other forms of security for the loan. This process was not common but now that almost everyone has a BVN, it is easier for them. A detailed business plan always helps! To convince the banks that lending you money will not be a gamble, it helps to present a detailed and well thought-out business plan. What will your business be about? What is your plan for marketing and selling your products? What background and experience do you have to make the business work? What will the loan amount be used for? The more of these questions you can answer, the more comfortable and convinced the bank becomes. Your business plan should be a road map that shows the bank that a lot of thinking and planning has gone into your business idea. Most small businesses and startup entrepreneurs do not do a good work of presenting detailed information about their business to the bank. Writing a business plan can be a simple or complex affair depending on the type of business and who the business plan is meant for (you, banks, investors, business partners etc). A guarantor is a person who guarantees to pay the bank in the event that you are unable to repay the loan and any interest it accrues. A guarantor is often someone who is wealthy or has valuable assets that can be used as collateral (or security) for the loan. Having a guarantor to back up your loan application reduces the likelihood that you will not be able to pay back the loan. This usually gives banks the assurance they need to classify your loan application as a ‘low risk’. And depending on the policies of the bank, your loan application would be approved. 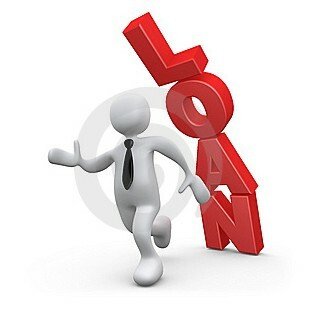 Now you know how to get a small business loan from your bank: have you had any problems? If you’re like many Nigerian startup entrepreneurs and small businesses, you may have been unlucky with your small business loan application. What were the problems you faced? Have you used any of the methods discussed in this article to help you secure a business loan? 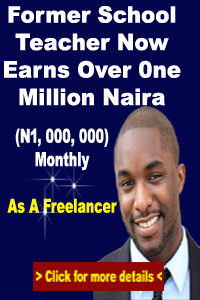 I can teach you how to make passive income with affiliate marketing. Interested? CLICK HERE! Hi Everyone, I would like to talk about something that has brought me so much happiness after my business suffered a great loss and I couldn't get help with loan from my bank and other financial institution due to my credit score. I was behind on bills, about to be evicted from home due to my inability to pay my rent, It was during this period I lost my husband to 'Cardiac Arrest'. 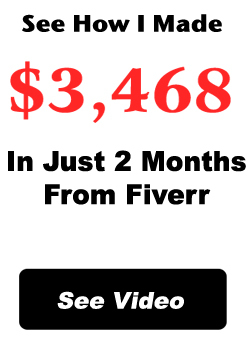 Then i set out to seek for funds online where i lost $4,770 that i borrowed from friends to two different companies. Until i read about: georgeneggaguaranteloan@yahoo.com where i was granted a loan to pay up my debts and revive my business without stress. You can as well give them a text at: +1(507) 215 8801. or vist https://georgenegga.wixsite.com/guaranteeloan .